Meet our Oral Surgery Dentist, with over a decade of experience - Dr. Abdouni limits her work to Oral Surgery only. In Year 2005, Dr. Abdouni completed her residency in Oral and Maxillofacial Surgery from Wayne State University. After completing over six years of extensive training in oral surgery at the University of Miami and Louisiana State University. She also holds Basic Life Support (BLS) certification along with Advanced Cardiac Life Support (ACLS). Dr. Abdouni is a current - member of the American Association of Oral and Maxillofacial Surgeons and candidate for Board certification in Oral and Maxillofacial Surgery. Patients enjoy Dr. Abdouni’s ability to provide compassionate patient education and comfortable oral surgery procedures. 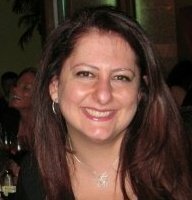 Committed to her work, Dr. Abdouni is devoted to healing and improving her patients’ oral health. Multilingual, Dr. Abdouni fluently speaks English, Portuguese, French, Spanish, and Arabic. In her spare time, she performs charity work at orphanages and is a licensed Spiritual Health Coach. Dr. Abdouni enjoys music, dancing, and spiritual healing. She is an avid basketball and soccer fan as well.